Yes, decorum has returned to the Detroit City Council. No, that doesn’t make it a rubber stamp for Mayor Mike Duggan, Council President Brenda Jones says. In years past, the nine-member panel was known for its insults and sometimes raucous meetings. Observers say the relationship between the panel and mayor is more harmonious than it has been in years. But don’t be fooled, that doesn’t mean the post-bankruptcy council goes along with everything the mayor wants just to look good to investors and residents, Jones said. Jones has often led the “no” votes on big, high-profile votes on issues such as tax abatement for projects such as the new Little Caesars Arena. 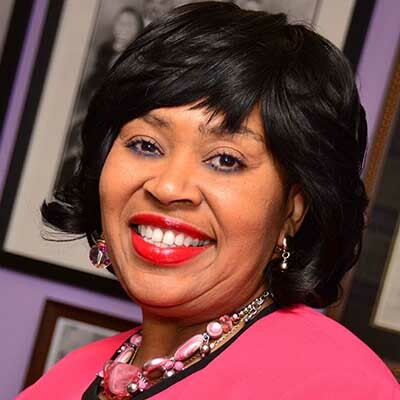 Jones, a former president of Communications Workers of America, Local 4004, was selected by her colleagues to a second, four-year term as council president last month. A few weeks later, she announced she is running for the 13th Congressional District seat left vacant when John Conyers stepped down in December amid sexual harassment allegations. This week, she was endorsed by Duggan. Editor’s Note: Bridge met with Jones before she declared her candidacy, and is publishing the interview because it is relevant to the operations of Detroit. It is in no way meant to promote her candidacy for Congress. Bridge: What are some of your top priorities for the next term? Jones: We’re talking about the same problems as when I first ran for Council 13 years ago: Jobs, Opportunities, Neighborhoods, Education and Safety. (The letters spell out her name). Opportunities are really important. We have more small businesses than we have corporations in the City of Detroit. We’re looking at creating an ordinance to make sure Detroit-based businesses get a 30 percent share of the dollars from city contracts, not a 30 percent share contracts, but of actual dollars. Speaking of dollars, you voted against diverting $34 million in bonds from schools and parks to fund the Detroit Pistons’ move to the Little Caesars Arena. Any regrets? It wasn’t that I didn’t support the Detroit Pistons, it’s that if you are receiving tax abatement dollars from the City of Detroit, I need you to support Detroit as well. Who’s going to clean those basketball uniforms? Use a cleaners in Detroit. Who’s going to do security? Use a Detroit-based security firm. The tax abatements are in writing, and what I wanted was plans in writing about what they were going to do for Detroit-based businesses. That’s why my vote was a no. Last term, 2014-17, marked the first council that was elected by district. You were on city council prior to the change. What are the pros and cons? Our citizens feel there is more accountability when the council member lives in their district. And that councilmember knows what the problems are because they live right there where they can deal with it. You stand the risk of competition between councilmembers for resources and funding. It happened with the Hardest Hit federal funds for demolitions of blighted buildings. Some districts didn’t get any funds and they had just as much blight. Council members had nothing to do with it, but they felt exposed because their residents were asking them why their neighborhoods didn’t get any funds. Also, some council members get territorial and don’t want other councilmembers doing anything in their district. At the end of the day, we all vote on what happens in the city as a whole. One of the biggest challenges is making sure all Detroiters are part of the revitalization of Detroit because we keep hearing about Midtown and downtown. The council’s financial authority – and that of the mayor – is subject to approval by the state-appointed Financial Review Commission that was put in place after Detroit's municipal bankruptcy to oversee the city’s financial decisions. Does the city regain full control of its budget from the FRC after this year’s balanced budget? No. The FRC can go dormant after this budget cycle, but, even in its dormancy, it doesn’t go away. They still have to approve certain things. How real is the harmony between council and the mayor? We disagree in a respectful manner. There is a way to disagree. I don’t have to argue, I can show you better than I can tell you and that ‘show’ is in my vote. Give an example of a significant disagreement with the mayor’s administration. We hired outside counsel because there was a disagreement after the (city’s) attorney said council doesn’t have power to approve all contracts over $24,999, the budget and water rate hikes. I will settle for nothing less. We’re at the point now where there will be discussions between me and the mayor. There’s a federal bribery probe related to towing contracts in Detroit that has led to a guilty plea from a Detroit police department lawyer. Also, a federal grand jury is investigating bid-rigging under the city’s $200 million, federally-funded demolition program. How is all of this affecting the day-to-day operations in a city struggling to shake its recent history with corruption and bankruptcy?